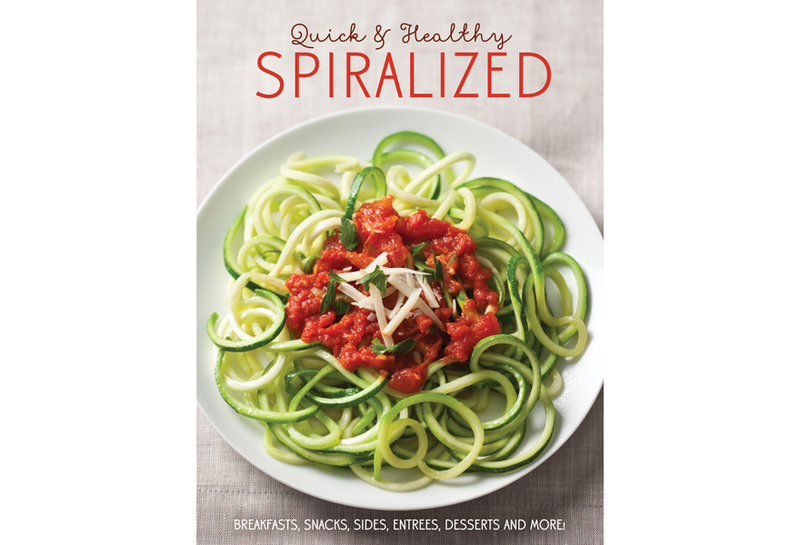 You bought a spiralizer; now what do you do with it? This cookbook will guide you through the endless possibilities with more than 75 quick, healthy and delicious recipes featuring spiralized fruit and vegetables. Chapters include: Breakfast; Appetizers and Snacks; Salads; Soups; Main Dishes; Noodles and Zoodles (zucchini noodles); Sides; and Desserts. Recipes are marked with icons indicating gluten-free, dairy-free, vegetarian, vegan, low-carb, low-sodium and/or high-fiber, and all recipes include nutritional information. Also included is a two-page introduction with photos covering the basics of how to spiral fruits and vegetables. Includes 40 photos full-color photos of end dish recipes.